I first met Abby Zukowski, owner of Life’s Sweeter Side Bakery while judging chocolate dishes at the AIDS foundation of Chicago’s annual World of Chocolate gala. Though I tried many wonderful desserts, their chocolate cake was the best in my book. Rich, moist, and chocolatey, it was definitely one of the best I’ve tasted in quite some time. 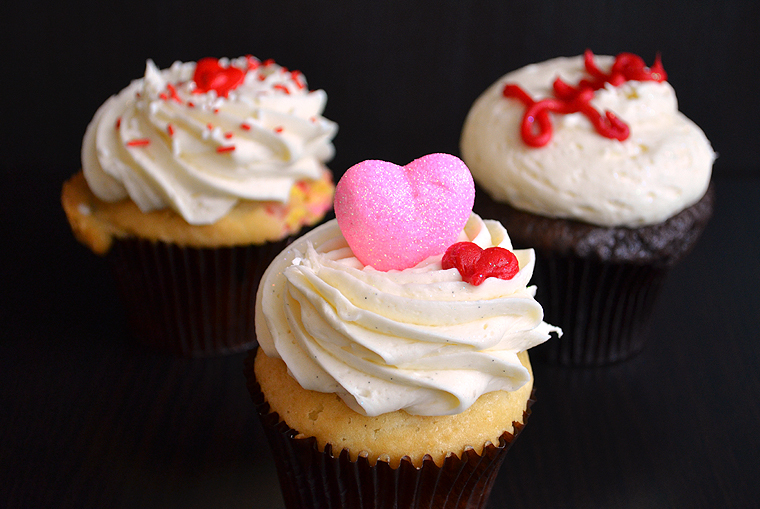 Founded in 2012, Life’s Sweeter Side bakes up innovative, delicious treats for every occasion, and they even offer their own singing cupcake, Cupid, to deliver them to you or your loved ones. 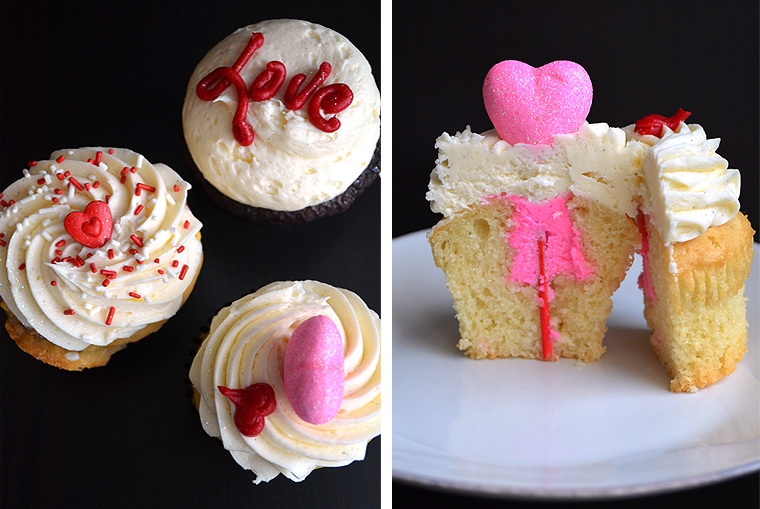 I recently had a chance to preview some of their Valentine’s day creations and here are some of my favorites. 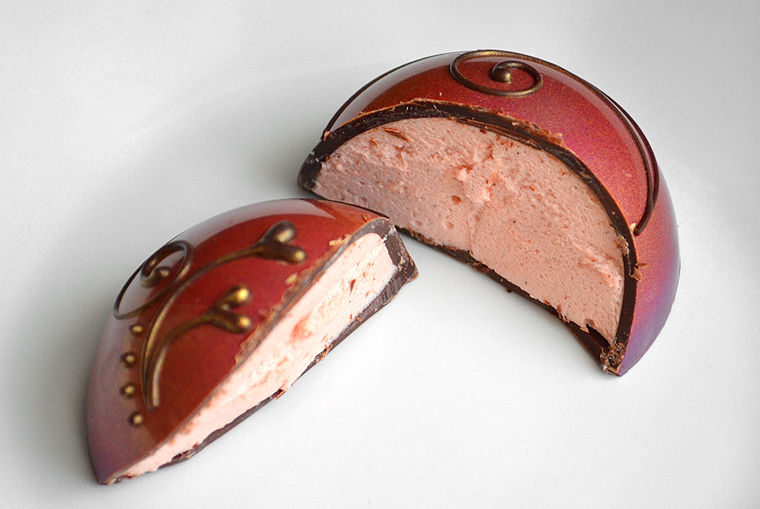 The smooth dark chocolate filled with a light and airy strawberry marshmallow! 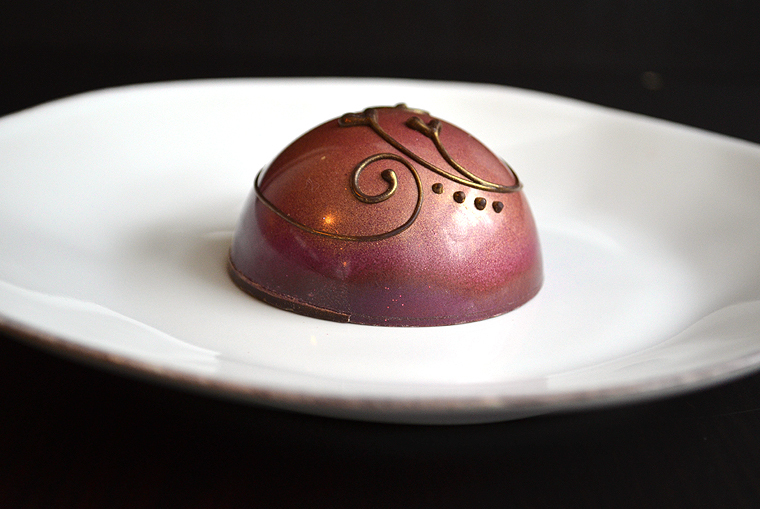 The filling was a mystery to me until I broke through the chocolate shell, and this one was my favorite! 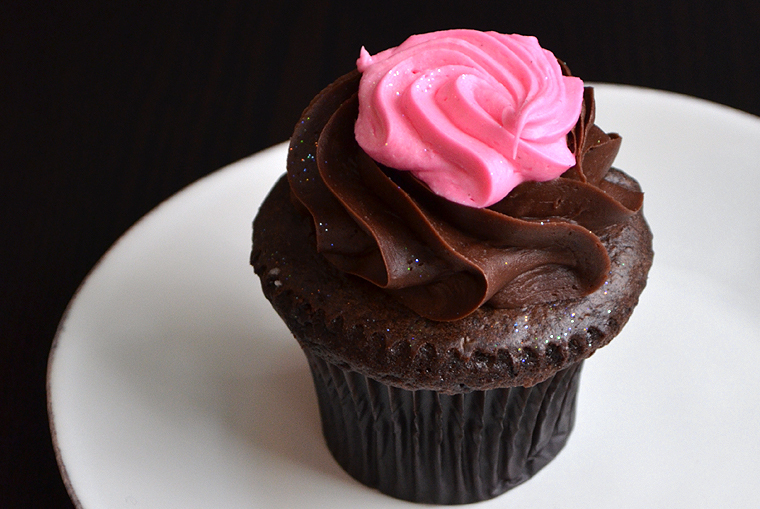 This one is perfect for the chocolate lover! 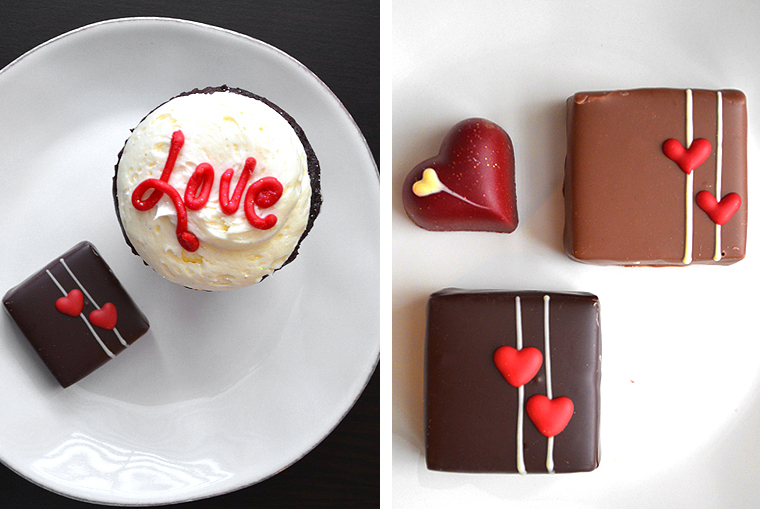 Chocolate, chocolate, and more chocolate! The chocolate buttercream was extremely smooth and rich, I was expecting some grittyness but there was absolutely none. 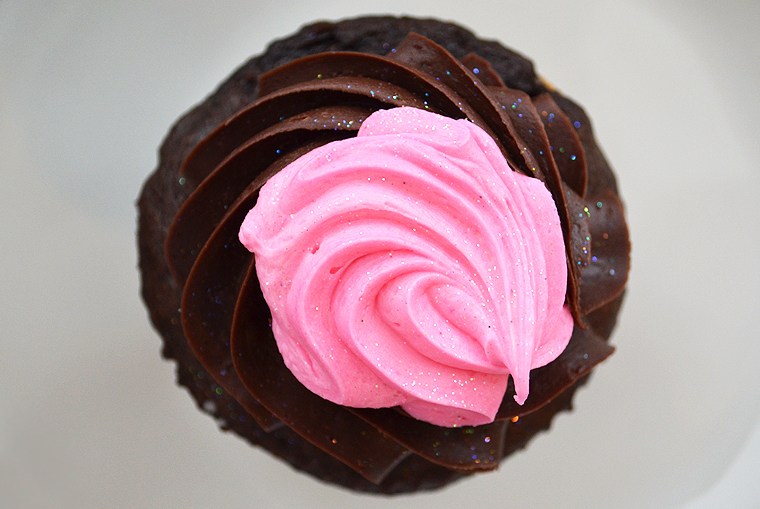 Wonderful cupcake. 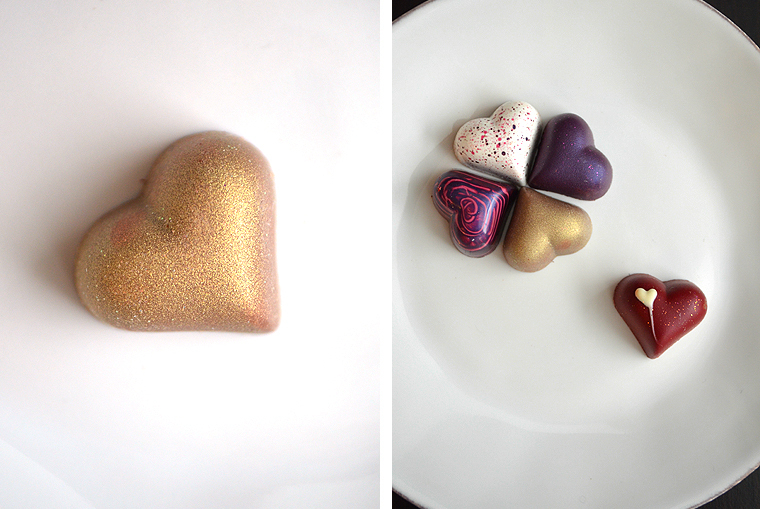 Colorful hand made heart-shaped chocolates with rich centers. 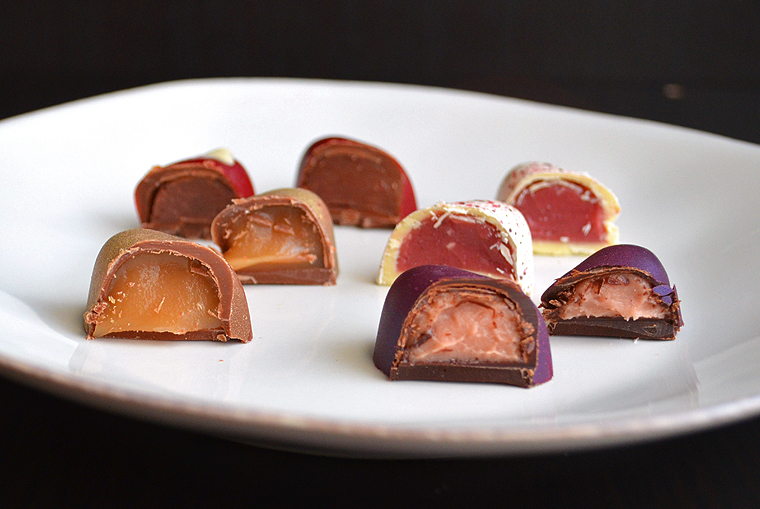 I tried a sampling of different fillings but the fruit filled and buttery caramel were my favorites! 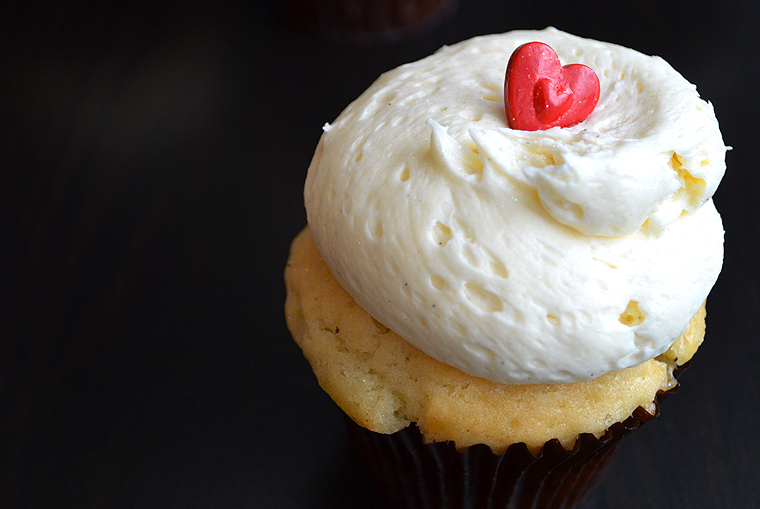 This entry was posted in Recipes and tagged Bakeries, Buttercream, Candies, chicago bakeries, Chicago Weddings, chocolate, Cupcakes, Dark chocolate, Ganache, Holidays, Life's Sweeter Side Bakery, Life'sSweeter Side Bakery Chicago, Valentine's Day, Vanilla Bean, Weddings. Bookmark the permalink. Everything looks lovely! I’m definitely going to have to make my way over there – I was so sad that they were out of everything by the I made it to their table at the gala.